Konqi taking some documentation work! 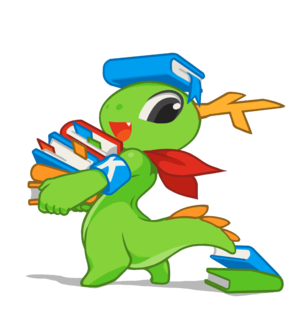 Community home page of the KDE documentation team. Collection of ideas to make documenting an integral part of any activity. Target is to enable as easy as possible way to input the knowledge one has. If quick and dirty it doesn't matter because another one will continue the work. Developer can make a braindump, say about feature, with no knowledge/interest of fine art of documenting. A non-developer documenter can edit this braindump with no need to prior knowledge about this feature because its in the braindump. maybe in edit summary when saving the edited version, like "Based on contribution by [[User:userName|userName]]"
Link to actual contribution, that is specific version of pastebin, seems overkill and in some cases wouldn't even fit into edit summary. Sample use case: A new user wants to know some little detail, say how to create application shortcut onto desktop. Gets answer, through trial and error, irc, mail, etc. Adds it into UserBase pastebin, from where editor with more knowledge can move it into appropriate place. Sample use case: Developer develops new feature and has no plans to document it. Makes braindump into TechBase pastebin. Someone else willing to contribute but with no knowledge about this feature can edit braindump into appropriate documentation. Add into Wikipedia articles links to UserBase and Techbase, perhaps in some cases to CommunityWiki. This page was last modified on 19 July 2017, at 16:16. Content is available under Creative Commons License SA 4.0 unless otherwise noted.